Kilchoman distillery was only established in 2005 on Islay and already has received numerous awards. The distillery was built on a farm, and the barley grown there became a vital part of Kilchoman single malt. About a third of the barley used in the distillery comes from the surrounding fields and is floor-malted on site. 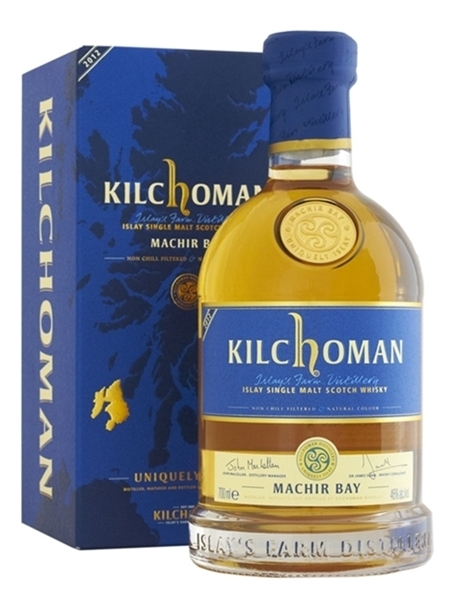 2009 saw the first release from the distillery before February 2012 brought the launch of their now flagship brand Machir Bay (~€50), named after the picturesque, sandy beach a half mile from the distillery. Machir Bay 2012 is a vatting of 3 year old (60%), 4 year old and a little 5 year old which were matured in bourbon casks with a partial finish in sherry casks. It is natural coloured, non-chill filtered and bottled at 46% ABV.